Is marijuana a weed, or plant? That is, is marijuana a plant one does not want, or a plant that one does? 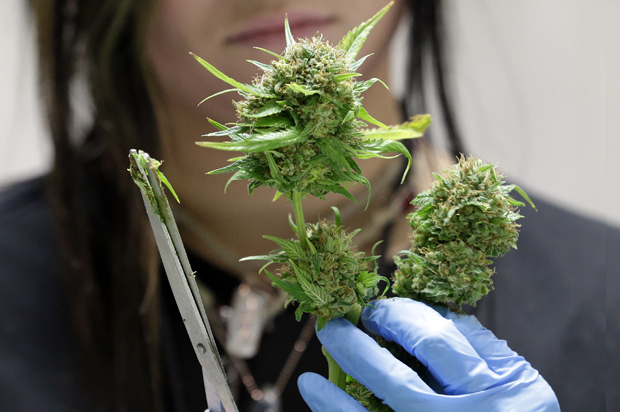 Is marijuana a plant one wishes to pull up, or cultivate? For many years, public policy has deemed marijuana a weed, while at the same time a steadily increasing fraction of the public has consumed it, as a plant. Has that fraction increased enough over the last generation to create a public policy tipping point, as happened with gay marriage? As a spoiler alert, I don’t think quite yet — judging by the cautious positions taken by Democratic candidates in the 2016 campaign — but in the same way that gay marriage in the 2000s was a good deal more palatable politically than overthrowing patriarchy in the 1970s, so marijuana as big business will be more palatable to the political class of today than just about anything. So in this post I’ll assess the tipping point, by looking at usage, and briefly look at marijuana harms, to frame the arguments of marijuana opponents. Then I’ll look at marijuana as an industry business, marijuana and 2016’s candidates, and what sort of public policy might emerge after a tipping point. Finally, I will reconsider marijuana as a plant, which will cast doubt on the public policy the country seems to be moving slowly to adopt. The nationwide survey…. 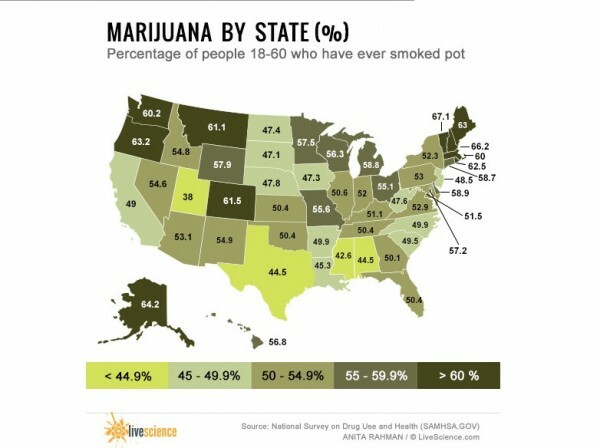 found that 7.3% of Americans 12 or older regularly used marijuana in 2012, up from 7% in 2011. 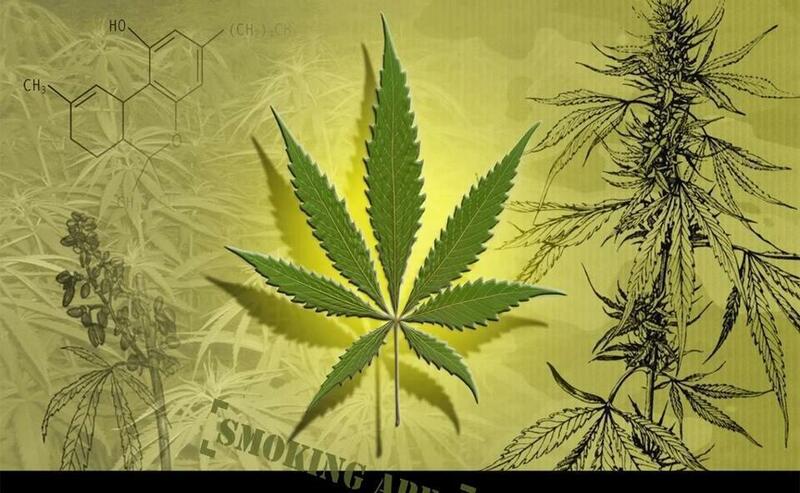 Marijuana use has increased steadily over the past five years. In 2007, the survey found that 5.8% of Americans 12 or older used marijuana. Support for marijuana legalization is rapidly outpacing opposition. A slim majority (53%) of Americans say the drug should be made legal, compared with 44% who want it to be illegal. Opinions have changed drastically since 1969, when Gallup first asked the question and found that just 12% favored legalizing marijuana use. Much of the change in opinion has occurred over the past few years — support rose 11 points between 2010 and 2013 (although it has remained relatively unchanged since then). In both states, the percentage of respondents who supported that sentiment was higher for Democrats (80 percent in Iowa; 77 percent in New Hampshire) and respondents overall (70 percent in Iowa; 73 percent in New Hampshire). The views of the public haven’t translated into candidate support, let alone legislation, but you can see the tipping point approaching. There is a vast and tendentious literature on marijuana harm, and most of it can be set aside as part of the well-funded self-licking ice cream cone that is the so-called “War on Drugs.” After all, if we can dose kids with Ritalin, and adults with Oxycontin, and have a $400 billion liquor industry, and sell cancer sticks in convenience stores, we as a society surely take a relaxed attitude about putting harmful substances into the public considered as a collective body. Why not, therefore, marijuana? So out of the clutter I’ll make pick only two points: First, that “brain scans” are especially idiotic; and second, that the harm to youthful “offenders” from arrest greatly outweighs any harm that marijuana might do to them. Even if [National Institute on Drug Abuse] hadn’t hand-picked extreme images from the PET scan data set, and even if they hadn’t then manipulated the color schemes to make these neurological differences appear all the more extreme, we are still left with the question of what exactly we are looking at. Different-looking brains tell us literally nothing about who these people are, what their lives are like, why they do or do not use marijuana, or what effects marijuana has had on them. Neither can we use such brain scans to predict who these people will become, or what their lives will be like in the future. Brain scans do not speak for themselves. The seemingly objective science of neuroimaging can be used to justify a moral argument for or against legal marijuana—to show it as a legitimate medicine, or as a danger to your health. … These are linguistic distinctions, not material ones. Everything affects the brain! Processing and storing experience — among them, intoxication, whether from nicotine, alcohol, Zoloft, Prozac, or marijuana, not to mention caffeine, lead paint, aluminum cookware, gasoline fumes, the grit from typewriter ribbons, a cloudy day, a sunny day, etc. — is one of the brain’s basic functions! Of course marijuana affects the brain! What doesn’t? Anyhow, the American people are the ones who should and will determine harm (as they did with Prohibition), and they’re voting with their bongs, as we have seen. Of course, a self-licking ice-cream cone is hard to bring to a halt, especially one created by our militarized system of law enforcement, so let’s turn to one force that might do so: Profit. [T]he marijuana industry isn’t selling baggies and answering beepers. It’s a $2.7 billion business—the fastest-growing in the United States—and one that operates without any legal sanction in four states, is decriminalized in 16 others, and is permitted for medical use in a few more. The huge growth potential of the industry appears to be limited only by the possibility of states rejecting the loosening of their drug laws. The report projects a marijuana industry that could be more valuable than the entire organic food industry — that is, if the legalization trend continues to the point that all 50 states legalize recreational marijuana. The total market value of all states legalizing marijuana would top $36.8 billion — more than $3 billion larger than the organic food industry. The Economist reckons that Federal legalization “may be five to ten years away,” I suppose when the $36.8 billion industry is in view. So lets see where the candidates and the parties are today. The state’s most high-profile Democrat also left the door open to potentially supporting a proposed ballot question that would legalize marijuana for recreational use. With regard to full marijuana legalization, Sanders said he will look to Colorado, where recreational marijuana is legal, to see the effects of such a policy change. Which is a nicely wonkish answer; since Clinton’s not stupid, either. So who is Earl Blumenauer? He’s Oregon’s representative from the Third District (which includes Portland), who has been carving himself out a niche on marijuana and public policy, to which I’ll now turn. 1. Tax and regulate marijuana. Considering the growing number of jurisdictions that legalize medical marijuana and the five jurisdictions that legalize adult use, it is time that Congress end the federal prohibition on marijuana, removing it from the Controlled Substances Act entirely and creating a regulatory and taxation framework, similar to the frameworks in place for alcohol and tobacco…. 2. Allow states to enact existing medical marijuana laws without federal interference. The federal government needs to allow states to enforce their laws without fear of interference by removing barriers to medical marijuana distribution. Removing marijuana from the schedule, or at least rescheduling marijuana to Schedule III, IV or V on the Controlled Substances Act , paired with language protecting states’ rights will ensure that patients and providers that operate in compliance with state law remain immune from federal prosecution. 3. Reduce barriers to medical marijuana research. Congress should pass legislation changing the system by which non-federally funded researchers access marijuana by ensuring that all researchers that receive FDA, IRB and DEA approval can access marijuana without further review…. 4. 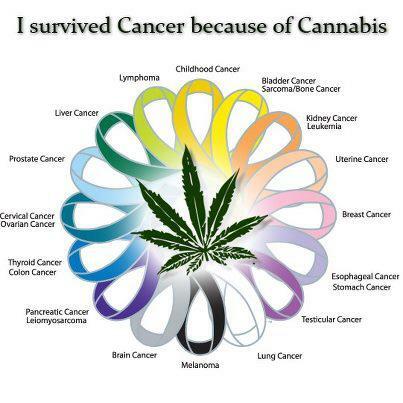 Allow veterans equal access to medical marijuana …. 5. 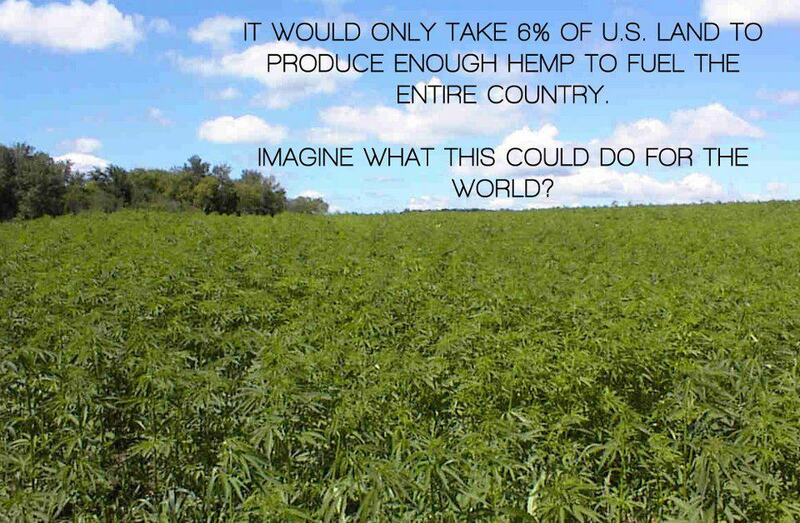 Remove the ban on industrial hemp …. 6. Allow the marijuana industry to operate in a normal business environment The existing medical marijuana industry and its expansion to include adult use of marijuana has and will continue to result in many new businesses facing the tax and banking problems that come with the territory. Congress should immediately remove these tax and banking barriers to allow legitimate businesses to operate in states that have legalized marijuana for medical and adult use. … Currently, these businesses operate as cash – only enterprises which are high risk and ripe for abuse. 7. A sensible drug policy working group. Members of Congress working on these issues should formalize their working relationship. Retain prohibition but decrease sanctions. Implement an alcohol-style commercial model. Allow adults to grow their own. Allow distribution only within small co-ops or buyers’ clubs. Permit locally controlled retail sales (the Dutch coffee-shop model). Have the government operate the supply chain (government monopoly). Have a public authority operate the supply chain. Permit only nonprofit organizations to sell. Permit only for-benefit companies to sell. Have very few closely monitored for-profit licensees. Repeal the state’s prohibition without creating any new, product-specific regulations. Clearly, there is a vast range of policy options that Blumenauer has rejected, and Hillary (never imaginative) seems likely to concur with his views, given that she views him as a subject matter expert. Readers, I think you will already have seen the policy options that I prefer, and let me consider marijuana as horticulture to explain why. Acres of it have been found in various communities. Patches have been revealed in back yards, behind signboards, in gardens. In many places in the West it grows wild. Wandering dopesters gather the tops from along the right of way of railroads. I realized that the Bumble-Bee and I had a lot in common. We were both going about getting what we wanted from nature, but at the same time we were unwittingly disseminating the gene of one species and not another. The bee, like me, to the extent he thinks about this at all, thinks he’s calling the shots. (Actually, it’s she. In the case of Bumble-Bees, apparently it’s female bees that do the work. )The bee has chosen to go to that particular flower, breaks in, grabs the nectar, runs off, gets away with the goods. But we know that this sense of control the bee feels, assuming she feels it, is simply a failure of bee imagination. What is really happening is that the plant has cleverly manipulated that bee into paying it a visit. And in the case of the bee, the plant does this by evolving precisely the right combination and kinds of molecules—the right color, the right shape, the right attitude toward the sun—to gratify the bee’s desires. We know this from elementary or college botany. This is co-evolution, two species coming together to advance their own self-interest. They wind up trading favors, often without knowing it. So how are matters any different between me and the potatoes I was planting, or me and the marijuana plant I wasn’t [ha] planting in my garden? The plants, too, in those cases, have evolved to gratify our desires. 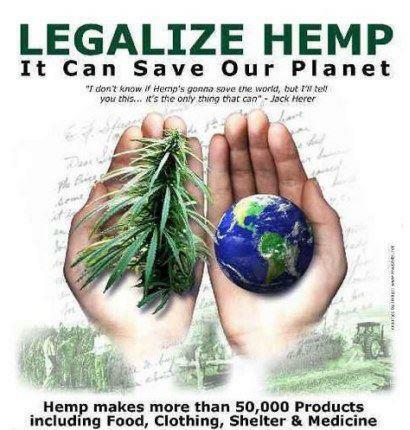 Plants, after all, have no notion of squillionairage, and that is what, “at the end of the day,” Blumenauer’s proposal is designed to promote, along with monocultures and whatever the marijuana equivalent of square tomatoes or High Fructose Corn Syrup might be. Plants, almost by definition, find monocultures maladaptive and seek to destroy them. I feel certain that marijuana, considered as a co-evolving plant, would far prefer marijuana gardens everywhere (including mine), and heirloom marijuana, adapted to the terroir. Blumenauer wants Big Weed. I don’t. 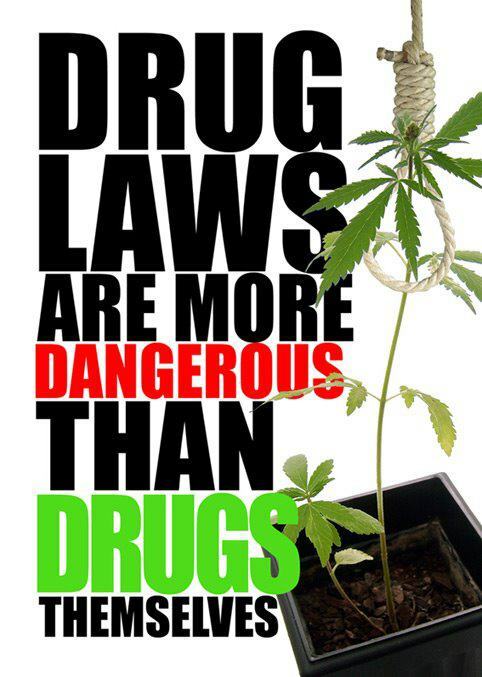 Marijuana plants don’t. From my perspective, as the other co-evolving partner, I find the coming of Big Weed, with its standardization of dosage and delivery, along with corporate branding and marketing, repellent, and a recipe for recreating all the damage of the liquor industry, including over-consumption. Most importantly, Big Weed would extract money from my state and send it elsewhere; local growers would keep the profits — and the horticultural skills — right here. So, will Hillary Clinton allow me to grow marijuana in my garden for personal consumption? Will she restrict marijuana advertising, exactly as cigarette advertising is restricted? Will she support local marijuana, or corporate marijuana? And what will Senator Sanders do? Because, to me, Big Weed would be a weed. 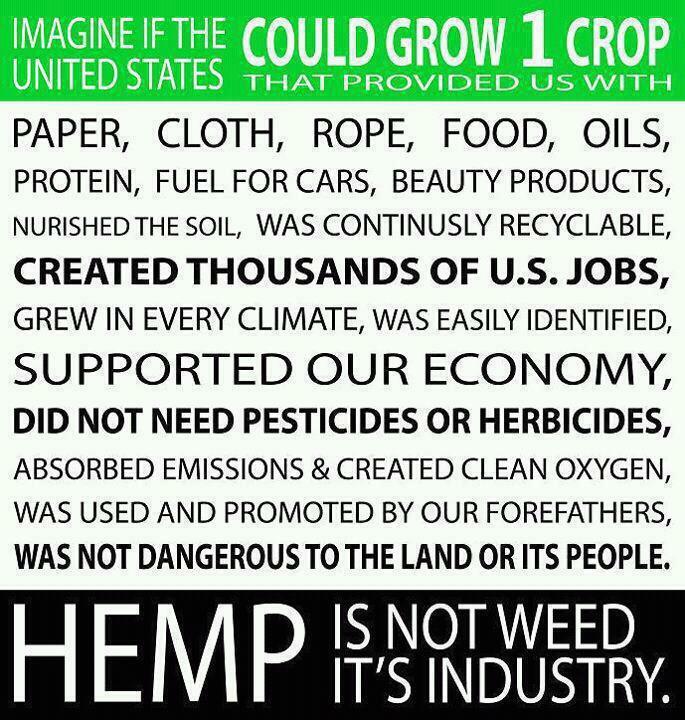 I know that the very word “marijuana,” as opposed to “cannabis,” is contested, and that some species of marijuana (“hemp”) have industrial uses. 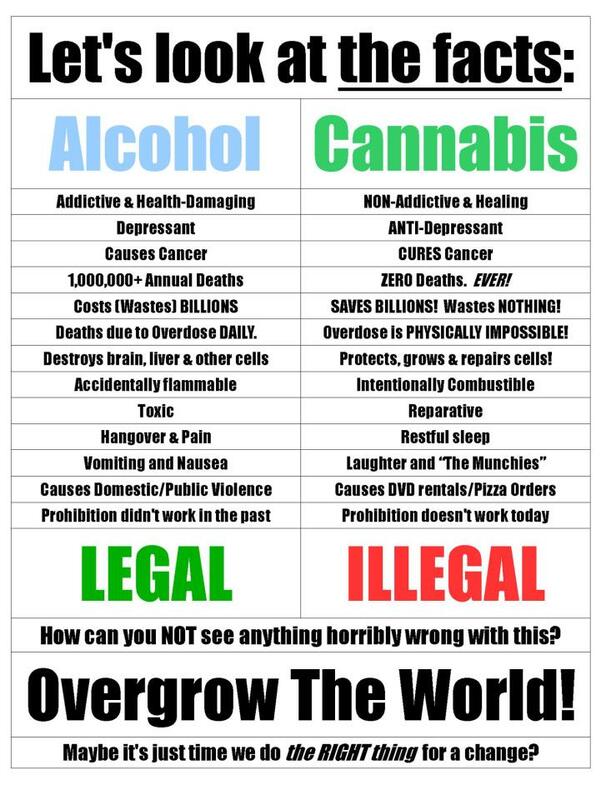 For the purposes of this post, I’m using the popular word which is, sadly, Anslinger’s “marijuana,” to refer to cannabis plants consumed to intoxicate (with pain relief considered as a form of intoxication). Full disclosure: Plenty, back (way, way back) in the day. 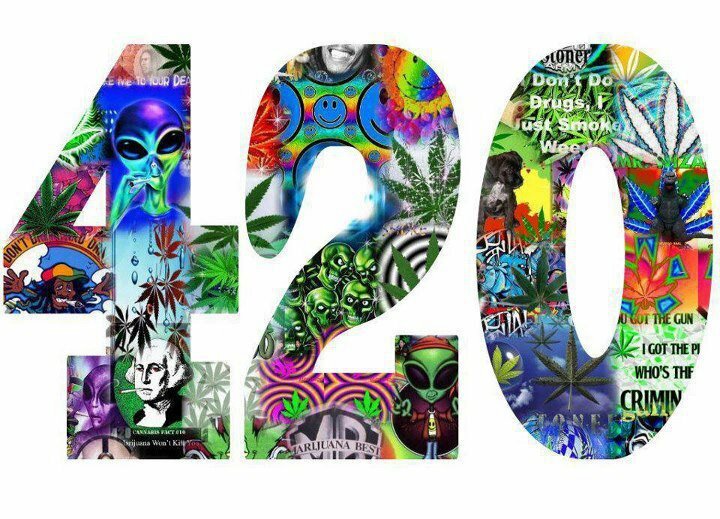 Legalization means, in essence, as legal as liquor (and as illegal as bootleg liquor). Legalization is not the same as decriminalization, which means making penalties for “possession” very light instead of viciously draconian. Actually, Maine has an unhappy combination of pain from heavy work like lobstering, lumbering, farming, and mill work, and pain from rural poverty. IMNSHO, it’s far better to seek relief with marijuana rather than with pharmaceuticals, like Oxycontin, or white powders, and the State legislature sensibly agrees. Now if only they would wake up to the tourist potential, as Colorado has. So I’m not going to go into impaired driving, pediatrics, test scores, gateway drugs, or any of the other talking points. I’m also not going to address the (contested) role of (last year’s 609,423) marijuana arrests in feeding bodies into the for-profit prison industry, ka-ching, or the racist aspects thereof, which also feed into the syndrome of law enforcement for profit, as does the ugly practice of asset seizure. Nor will I examine the ugly effects of marijuana and the War on Drugs generally on our client States, like Mexico, or our sphere of influence,the Americas. And I will ignore the cost/benefit analysis of marijuana enforcement vs. marijuana tax collection. I also understand that my “relaxed attitude” test might also allow the consumption of white powders (declining), which I am, in fact, strongly against — slippery slope warning! — but working out how to draw a principled bright line in public policy on that issue is a topic for another time. I have felt that Bernie Sanders definitely wants to end marijuana prohibition, but that he is laying the groundwork for such an announcement of support. If he came out and simply said ‘yes, legalize it,’ he would be disregarded as a ‘crazy liberal’ and that of course he wants to legalize marijuana, and it wouldn’t go anywhere. 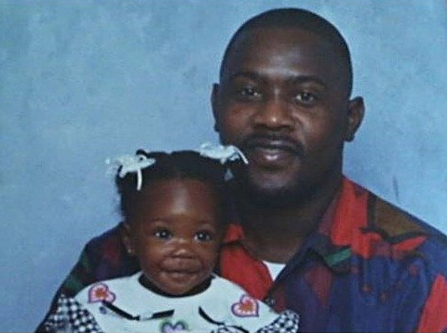 But if he comes out and says he wants to support prison reforms, that he wants to support other criminal justice reforms, that he wants to address racial issues in America, and a bunch of other planks that make up a larger platform, he will develop a more constructive conversation. Then, after he can get the discussion on the right path, then he comes out with full support for legalization. If he does it that way, I think he will be taken more seriously by non-cannabis consumers, and even some cannabis opponents.